Aretha Franklin in Montreal or Quebec City? Inform me about the next events for Aretha Franklin. Enroll yourself to our priority waiting list for Aretha Franklin to be alerted when new tickets are available. Filling this form doesn't engage you to any purchase. 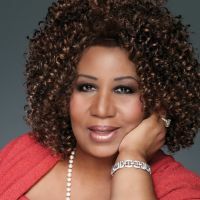 Aretha Franklin will be coming back to Montreal on July 2nd, 2014, for a concert at the Wilfrid-Pelletier Hall of La Place des Arts, as part of the Montreal Jazz Festival. The Aretha Franklin concert scheduled for June of 2013 had to be canceled, because of Franklin's health problems. Now it's all behind her, and the famous singer will get to visit us after all !